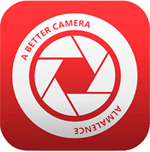 »» Download Duplicate Remover for free! »» Download Atomic Clock for free! »» Download MoziPDF for free! »» Download TorrentRover for free! TorrentRover ::: a computer program that allows users to share files. Using TorrentRover can be downloaded from the Internet movies, music, software, games, documents, etc..
»» Download Iridium for free! »» Download PC Benchmark for free! »» Download LastPass for free! LastPass ::: a program for different devices that allows users to manage passwords. Using LastPass can manage from one place all your passwords. 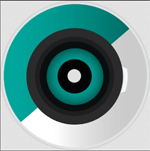 »» Download Aerize Optimizer for free! Aerize Optimizer ::: an optimization program that allows users to improve PC performance. Using Aerize Optimizer, the computer will work much better and faster. »» Download UnderCover for free! UnderCover ::: a computer program that allows users to read e-books. Using UnderCover can organize and read electronic books in different formats. »» Download Nano for free! Nano ::: a computer program that allows users to process text documents. Using Nano can create and edit different text documents.